The S1, N and M proteins, obtained from the nephropathogenic N1/62 strain of infectious bronchitis virus (IBV) by immunoaffinity purification with monoclonal antibodies, were used for immunization of chickens. For all three antigens multiple immunizations were necessary for induction of an antibody response. 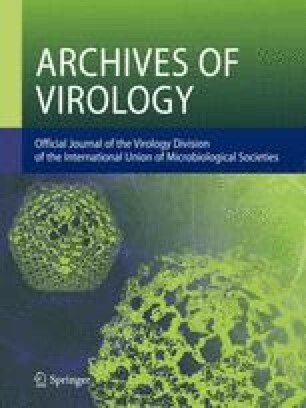 Protection of chickens vaccinated with the S1 glycoprotein against virulent challenge was demonstrated by the complete absence of virus in tracheas and kidneys of vaccinated chickens. Following four immunizations with the S1 glycoprotein 71% and 86% of chickens were protected at the level of tracheas and kidneys, respectively. Three immunizations with the S1 glycoprotein protected 70% and 10% of chickens at the level of kidney and trachea, respectively. Neither the N nor the M antigen induced protection to a virulent challenge with the nephropathogenic N1/62 strain of IBV after four immunizations. Virus neutralizing, haemagglutination inhibiting and ELISA antibodies were detected in chickens immunized with the S1 glycoprotein and inactivated N1/62 virus, however there was no correlation between the presence of any of these antibodies and protection.